Inside The Box | Music | Style Weekly - Richmond, VA local news, arts, and events. An interview with "King of Indie Soul" Eric Roberson. 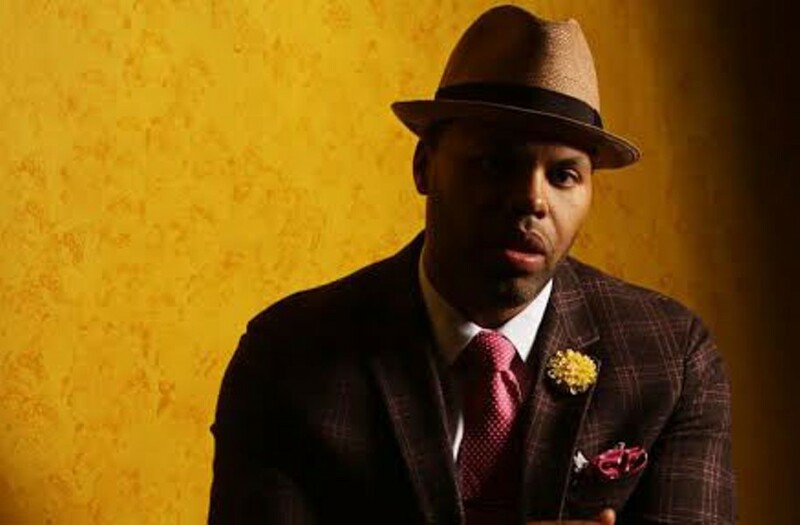 Soulful crooner Eric Roberson returns to Richmond for the Saturday Soul Social at the Speakeasy at MansionFive26 on July 26. Losing your iPhone is nothing like what Eric Roberson experienced. Roberson is known as the “king of indie soul," a genre of R&B known for it's slightly left-of-center content and do-it-yourself element. After seven independent releases, Roberson appears to be comfortable in his role as leader of a group of singers and musicians who don't answer to anyone but themselves. It may not be the career path he intended, but that was before he was dropped from Warner Brothers in 1994 -- before his album was released and he had all his master tapes stolen from his truck -- a disaster for any musician. The New Jersey native, also known as “Erro,” talked with Style about the events that led to his indie status, fans who get too close and his first concert stop in Richmond, more than ten years ago.His latest album, “The Box” drops on Aug. 12. Style Weekly: What did you learn from your experience with a major label? Eric Roberson: It was a very humbling moment. That whole process. The main thing I learned is that your voice can't save everything and that you do need to understand the business and you do need to understand the craft. The person that you see and hear today was created from the brick wall I ran into. Before that day, I probably thought I was going to be next Usher or the next Prince or something. It didn't work out that way. But I'm very fortunate to still be around, still doing what I love. Do you think that unreleased album will ever be heard? I don't think so. I personally don't have any of the songs any more. The day I was moving from Atlanta, my truck got broken into and the only thing they took was a book bag full of all of the music I had done up to that point. Even the songs I recorded the day before that, it was all in that bag. It was a catastrophic loss. I'm really excited about it. Probably … the most musical album I've done so far. It's really a combination of all the influences I've had growing up and as well as growing older. It's a very mature album [in terms of] live instrumentation, subject matter. I grew up a hip hop kid, so it still has that … drum machine boom bap, that I've loved in A Tribe Called Quest, J Dilla and Run DMC. That nice mesh of it, live instrumentation and the stuff I grew up on. Any memories of prior visits Richmond? The first time I came to Richmond to do a show, we brought the whole band down and there was no equipment. The stage was completely bare. I apologize that I can't remember the venue, but this was ten plus years ago. All there was was a DJ. There were no mics, no anything. A guy who came to the show and said “hey man, looks like you need equipment.” I was like “Yeah, yeah.” This was showtime. He made some phone calls, left and came back with equipment. Within the hour we had a stage full keyboards, microphones and drums and we did a concert right there. And that guy was Jarrard Anthony, a great soul artist from Richmond, Va. We've been friends ever since. He's working with me on this show. Saturday Soul Social presents Eric Roberson and Algebra Blessett performing on July 26 at 7 p.m. at the Speakeasy at MansionFive26. Tickets $25 to $40.